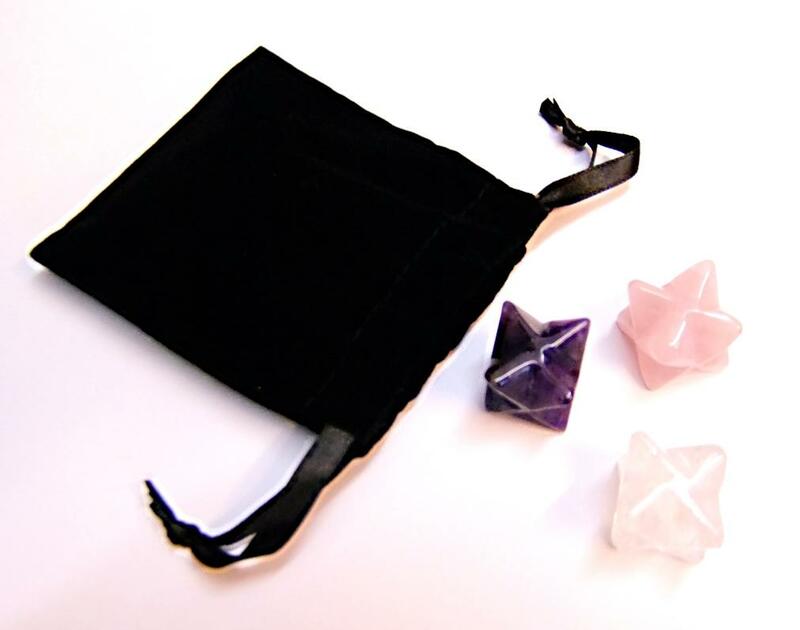 SET OF THREE MERKABA STARS IN A BLACK VELVET POUCH. 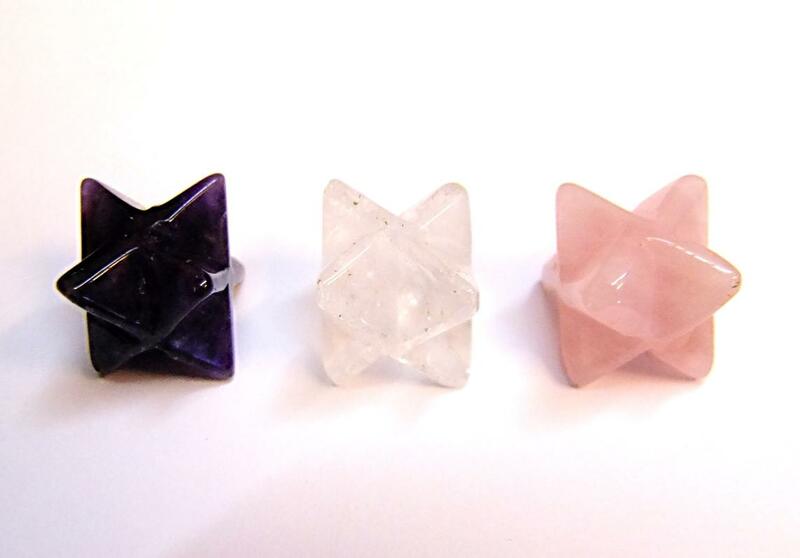 SET CONTAINS STARS IN QUARTZ, ROSE QUARTZ & AMETHYST. EACH STAR MEASURES = 18MM X 18MM X 18MM APROX.